A senior German police officer has written to Chancellor Merkel to complain his officers have been overwhelmed by the scale of the migrant crisis, and now just one in ten migrants are ‘controlled’ as they cross the border. Only a fraction of migrants entering Germany are now fingerprinted or have their names checked according to German Police Union (GdP) deputy chief Jörg Radek. In his letter to German Chancellor Angela Merkel, the veteran police officer said the force was now “not in a position to pursue its mission of security and law enforcement on the German-Austrian border in the statutory way we perceive”. 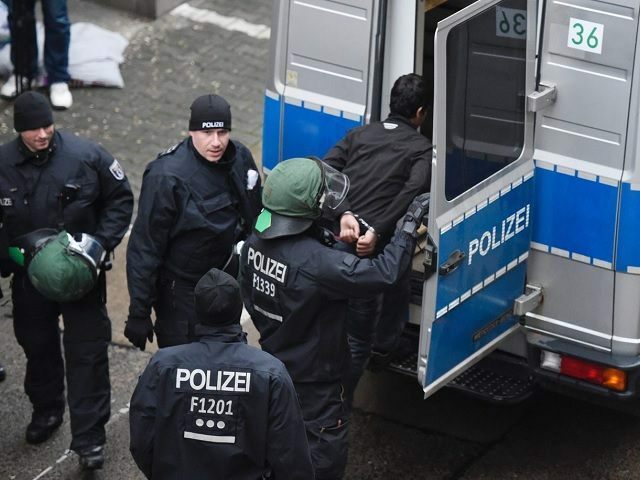 Mr. Radek also said there were so many more migrants crossing than officers to receive them, they had become unable to prevent terrorists disguised as refugees from entering the country, reports Die Kronen Zeitung. German police union chief Rainer Wendt backed up his colleague, confirming “hundreds of thousands of cases” crossed the border unchecked, who could enter the country “under whatever name and for any reason”. German law requires that all so-called ‘refugees’ crossing the border are fingerprinted, although this has not been the case for some months. This is just the latest warning from German police about the effect of the migrant crisis on law and order in the normally peaceful central European nation. In July police warned insufficient officers and obsolete equipment meant they were unable to catalogue all who entered the nation, and in any case once they had the force lacked powers to deal with newcomers. While police are required to pass on migrants to the Federal Office for Migration after they had been catalogued at the border, there is no record of system for checking whether they actually go, and no means to compel individuals to do as they are told by the authorities. The chaos continues beyond the border and the Migration office to refugee camps. In November the German government admitted to a written parliamentary question that it had lost track of the number of migrants in their own asylum camps. The government also admitted it had no idea how many had been released from the camps to live within Germany. The latest estimates stand at 1.5 million, yet this figure has already been revised three times this year as the number has found to be a wild under-estimate.